Mr Trump denied he was trying “to cover” for Saudi Arabia. Saudi Arabia is one of Washington’s closest allies and the Khashoggi disappearance is putting the administration in an awkward position. The president said the truth would come out “by the end of the week”. 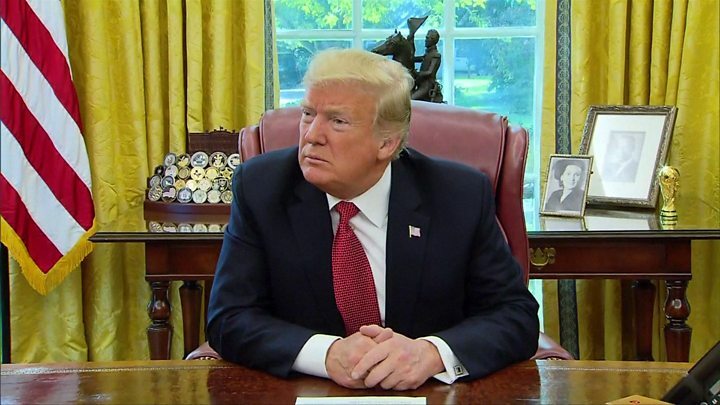 Over the past few days, Mr Trump has raised the possibility of “rogue killers” being behind the journalist’s disappearance. And he has cautioned against rushing to blame Saudi leaders, telling the Associated Press news agency that they were being treated as “guilty until proven innocent”. The existence of audio evidence that Mr Khashoggi – a critic of Saudi leaders – was murdered was revealed by Turkish investigators early on in their inquiries. A Turkish newspaper says the consul himself, Mohammed al-Otaibi, can be heard in the audio recording of Mr Khashoggi’s death. How is Turkey’s investigation progressing? Early on Thursday, investigators were seen leaving the Saudi consul’s residence, about 200m (650ft) from the consulate, following a search that lasted almost nine hours, according to Reuters news agency. 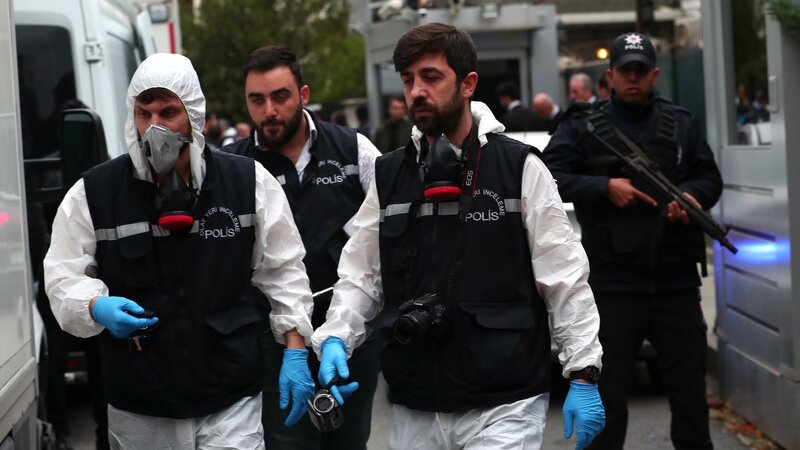 The search had been expected to take place on Tuesday, but it was delayed because the consul’s family were still inside, Turkish Foreign Minister Mevlut Cavusoglu said. Mr Cavusoglu said his meeting with Mr Pompeo had been a “beneficial and fruitful” encounter. The US secretary of state had talks with President Recep Tayyip Erdogan, too. On Tuesday, Mr Pompeo was in Riyadh for talks with Saudi Arabia’s King Salman and Crown Prince Mohammed bin Salman, who he said “strongly denied” any involvement in the journalist’s disappearance. Mr Khashoggi is a US resident and columnist for the Washington Post newspaper who went into self-imposed exile last year after reportedly being warned by Saudi officials to stop criticising the crown prince’s policies.